It is with great sadness that we announce the peaceful passing of Eva Onischuk on Tuesday, March 19th at the Lion’s Prairie Manor. Eva was the youngest of 11 children, born to Paul & Julia Onischuk on October 5th, 1924 in Glenella, MB. She attended Lucania School in the RM of Glenella, until the age of 14 years. It was at that time she was moved to Portage la Prairie due to health reasons and became a resident of the MDC. 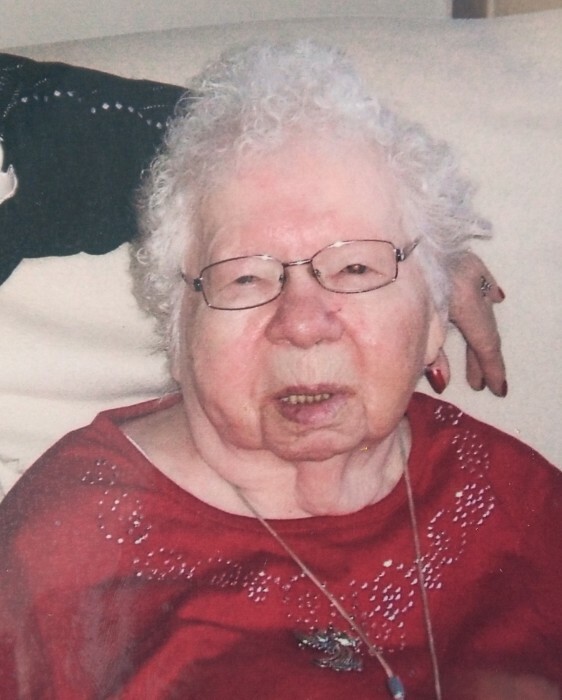 Later, Eva resided on Charlton Avenue in Portage la Prairie, in a ground level apartment, which made everyday living much easier for her. She was a client of ARC Industries in Portage la Prairie, which she was so proud to call her “workplace”. Eva was fortunate to have various personnel caring for her, home care staff and nurses, as well as the Kinettes. All were considered, with affection, her extended family. Her home was warm and loving with visitors always welcomed. Due to poor health Eva was hospitalized and then moved to St. Claude care home for a few months. Since then she had taken up residence at the Lion’s Prairie Manor until the time of her passing. She enjoyed her time there and especially loved the fiddle music provided by numerous entertainers over the years. Eva would never miss the Saturday Night Polka Party on CFRY and was one of the most loyal of fans. Eva was predeceased by her loving parents Paul & Julia and siblings; Peter, Katie, Pearl, Mabel, Ann, Stella, Mike, Steve, John and Nellie. Left to cherish her memory and mourn her passing are her nephew Ernie & Debbie Onischuk along with several other nephews and nieces. A huge heartfelt thank you to the Lion’s Prairie Manor for all the care given to Eva during her time spent in their care. A funeral service will be held for Eva on Wednesday, March 27th, 2019 at 11:00 a.m. at the Omega Funeral Home, 83 Royal Road. S., Portage la Prairie, MB. Interment to follow in the Goodlands Cemetery, Glenella, MB.